Reflective on one side and Non Reflective on the other. Perfect for shooting small items. Easy to Clean and Set up. 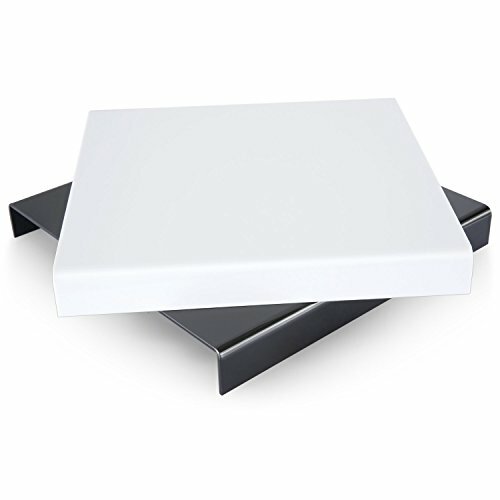 Sturdier than the regular acrylic sheet with the same thickness. Measures 12 x 12 inches, works great with light tents. Take beautiful jewelry pictures the old fashioned way on the reflective side. 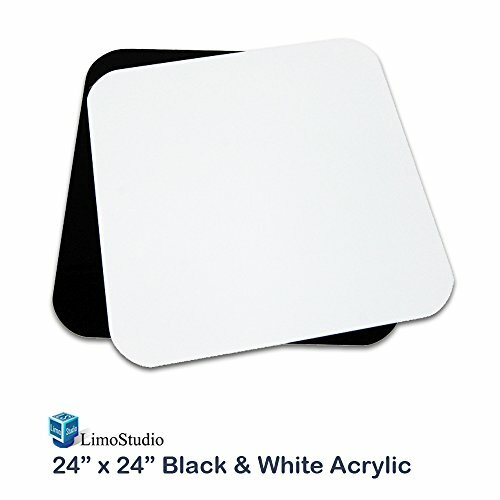 The Non reflective side adds flexibility to these boards, great for overhead shots or when a reflection is not needed. It can be used with or without a light tent. All product pictures were taken using the boards. 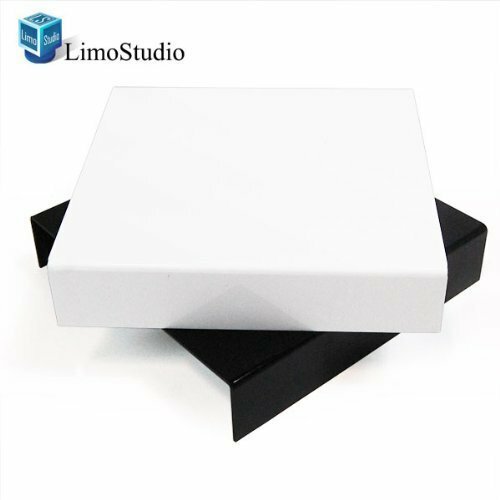 Package Contents: x1 Black & x1 White 12 x 12 inches (1) White Acrylic Display Table Board (1) Black Acrylic Display Table Board 12" x 12"
Acrylic Photo Background Table Top Flat Board• Dimension: 24 x 24 inch• Color: Alpine White & Jet Black24 x 24 inch Acrylic Board provides a luxurious feeling with reflective surfacefor small/medium commercial product photo-shooting. 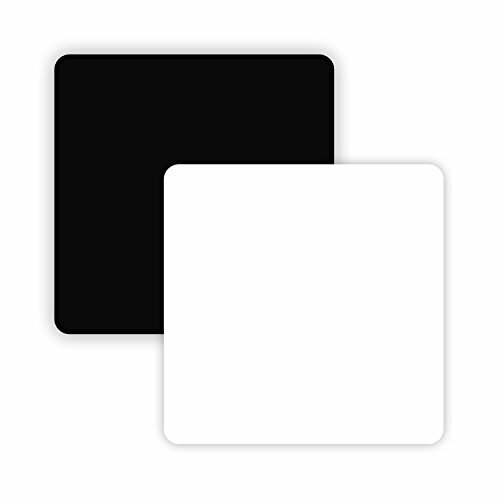 2 colors, black and white,are available for wide range of subject selection. 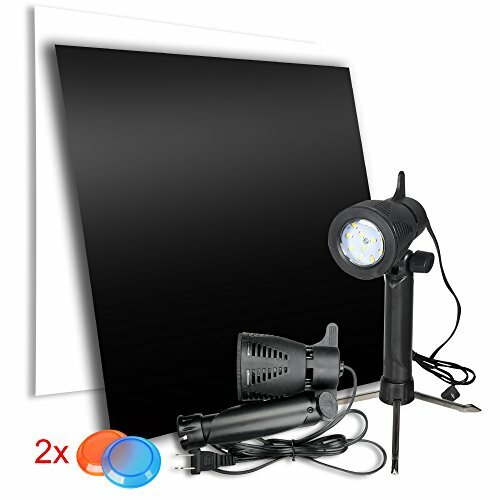 Ideal for professional photographers and hobbyists alike, this Reflective Board and Table Top Lighting Kit makes it easy to take your photography to the next level. 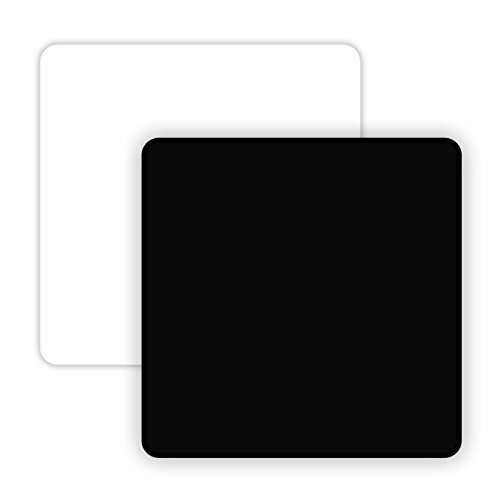 Specifications (1) x 12'' White Acrylic Reflective Display Board (1) x 12'' Black Acrylic Reflective Display Board Material: Acrylic Color: Black, White Size: 12 x 12'' Smooth surface, make the picture texture. It has a safety covering as to not scratch up. Suggestion: Keeping the box and store them, they would fit in a standard backpack and could work for things''on the go'' or outdoors. (2) x High Brightness Table Top LED Light Stand Color temperature: 5500K Luminous flux: 570-600 lm (equal to 70W incandescent bulb output) LED quantity: 12 LED Height: 10.2'' Beam angle: 180 Degree Eliminate superfluous shadows for excellent and even color temperature and clarity for digital photography. (2) x Orange Gel Filter (2) x Blue Gel Filter Change the color temperature (Kelvin) to higher or lower than 5500K. Description: This PULUZ Portable Photo Studio can help you make photography affordable, portable, and easier than ever. 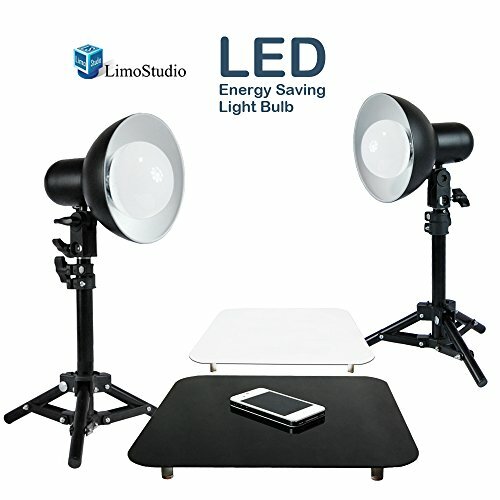 The one-piece collapsible photo studio features integrated LED lights that make it possible to capture high-quality images with a camera or smartphone. 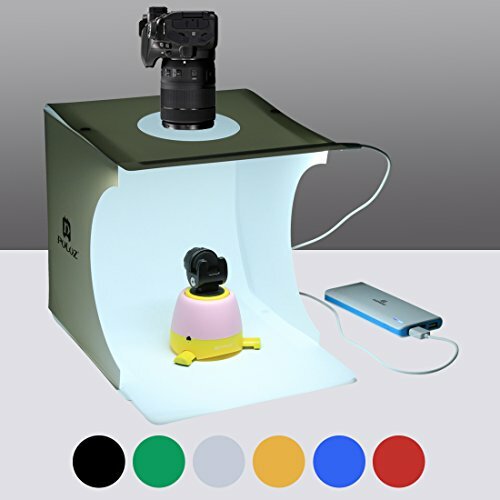 Ideal for product on-line sellers, professionals, and hobbyists, the photo studio promotes high-quality images and saves space and time with its convenient portability and quick set-up. Specification: Material: PVC QLED Quantity: 20pcs Power Supply : 5V Product Size: 24cm*23cm*22cm / 9.45in*9.06in*8.66in (Unfolded); 23*23*1.5cm / 9.06in*9.06in*0.59in (Fold) Packing List: 1 x Main Studio Box(with 1 LED Panel) 2 x Backdrops: White + Black 1 x Micro USB Cable 1 x User Maual 1 x Soft Bag About PULUZ: PULUZ is specialized in products development and sales for accessories of Cameras and Camcorders. Providing the best product and the Whether you are a first-time buyer or a seasoned professional customer, we are here to wait for you. If you have any question of our products and service, please feel free contact us. With your trust and support, we can do better in the future. Warranty: -- 12-month worry-free product guarantee and return/replacement within 30 days after receiving for every purchase from PULUZ. 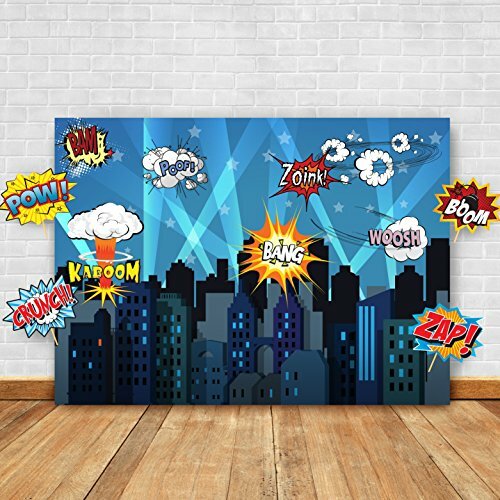 Compare prices on Acrylic Background Photo at ShoppinGent.com – use promo codes and coupons for best offers and deals. Start smart buying with ShoppinGent.com right now and choose your golden price on every purchase.